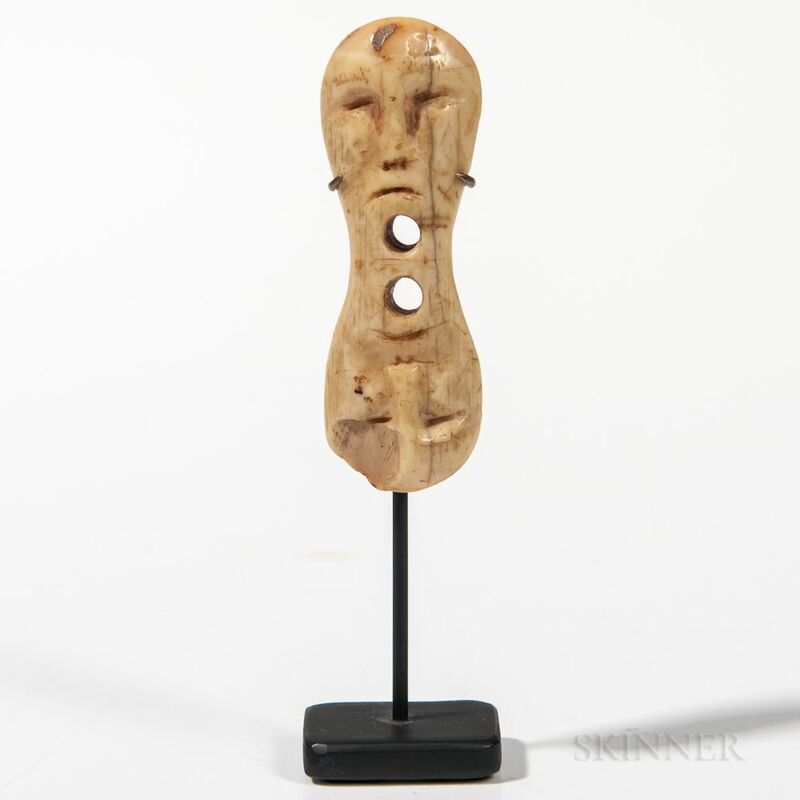 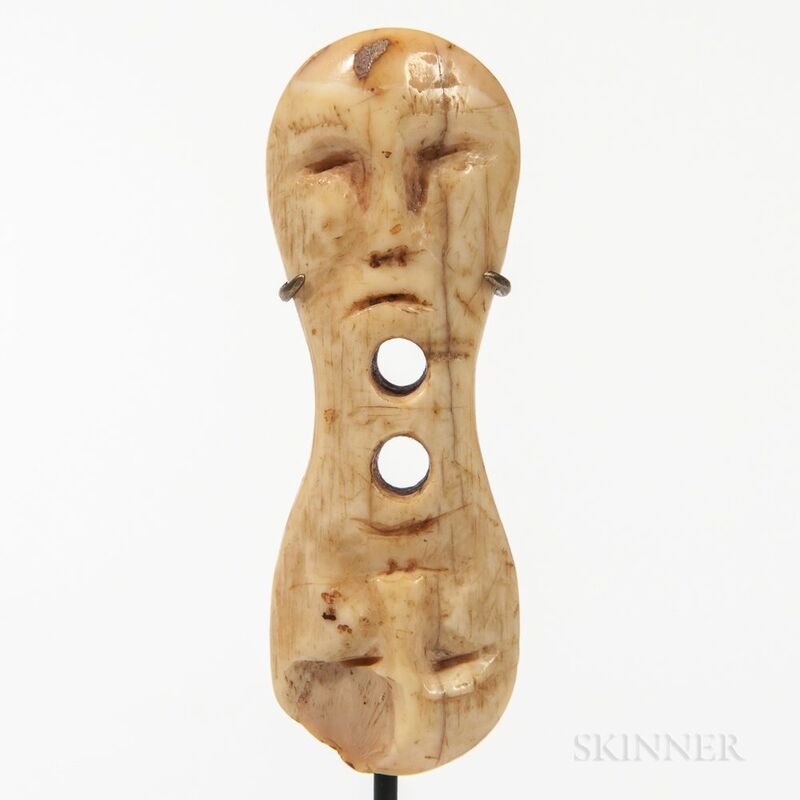 Double Face Toggle, Inuit, Alaska, 19th century, walrus ivory, probably used as a garment toggle, lg. 2 3/4 in. 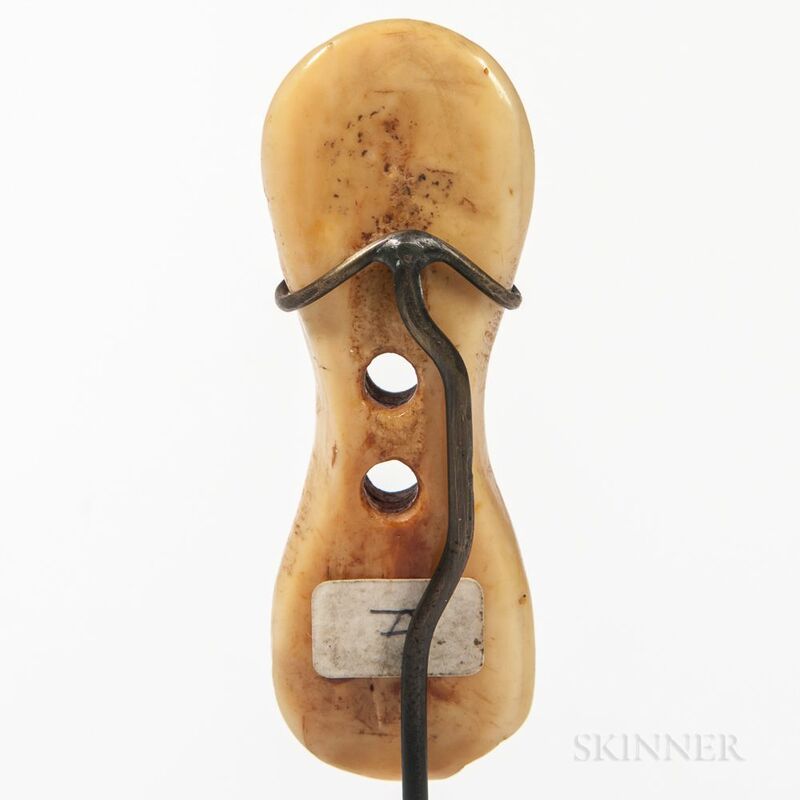 Provenance: Private collection, New York City.